An ADGQ speedrunner just beat Battletoads’ hardest level. Blindfolded. During today’s Awesome Games Done Quick livestream, one man beat one of the hardest videogames levels ever. Blindfolded. 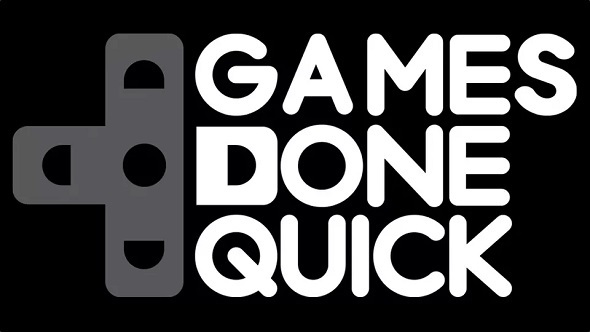 Last year’s Summer Games Done Quick raised over $1.7 million for charity. Earlier this afternoon, showcase performer Piotr Delgade Kuseilczuk, better known in the speedrunning community as The Mexican Runner, beat the 1991 platformer in just under 30 minutes. That’s about six minutes short of Kuseilczuk’s own world record, which sits at 23 minutes and 42 seconds. That segment beat its donation goal, so The Mexican Runner later returned to the stage to perform Battletoads’ Turbo Tunnel level. That’s a goal that many people have struggled with over the past 25+ years, but Kuseilczuk added an extra challenge. Before the level started, he blindfolded himself, then placed a hat over his eyes to ensure he couldn’t see. For good measure, he looked away from the screen throughout the level. It was far from an entirely flawless effort – Kuseilczuk died eight times during his attempt – but that’s a significant improvement on what many people could manage with their eyes actually trained on the screen. You can watch the blindfold run courtesy of the ADGQ livestream right here. If you want to see more speedrunning, ADGQ is still broadcasting right now on Twitch.